Good Neighbor Insurance brokerage firm (https://www.gninsurance.com/), out of Phoenix Arizona, is a world class leader in providing international health insurance benefits to our guests traveling and residing outside the U.S. since 1997. In fact, our mission statement states: Good Neighbor Insurance serves and protects travelers, expatriates and international organizations, using professional and overseas experience to help clients select the best, most cost-effective insurance. Our Global Citizen and Global Navigator career insurance plans are one of our most popular career/long term plans for those residing outside the U.S. for longer than a year. We just received a question from one of our guests who are on the Global Citizen plan. Here is the answer below too. 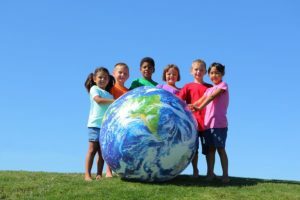 Answer: Our Global Citizen / Navigator and GeoBlue Xplorer / Navigator plans, https://www.gninsurance.com/hth-global/, are exempted under the Affordable Care Act (ACA) as limited duration policies geared for international living. Despite the exemption, certain benefit levels have been written to ACA levels. For example, the plans have an unlimited medical maximum and dependents are eligible up to age 26. One may renew these career insurance policies at the annual renewal policy term even if the policyholder will be coming back to the U.S. for good and not go back to live overseas as an expat.